We often hear about nutrients that Americans are eating too much of, like saturated fats, sodium, and sugar. But some of the most important nutrients, such as omega-3 fats, are lacking in the typical American diet. 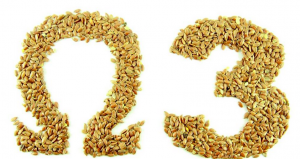 What makes omega-3 fats special? These essential fatty acids play a vital role in our bodies –from helping to control blood clotting to building brain cells — and have also been linked with many health benefits, such as protection against heart disease, some types of cancer, and even age-related memory loss. Beans – Not only are beans an excellent source of protein, an eight-ounce serving of tofu (derived from soybeans) has about 1.2 grams ALA omega’s, while a cup of kidney beans packs in nearly 1 gram (about half of what you need for the day). What’s more, beans are easy on your wallet, especially compared to fresh fish. Enjoy a meatless main dish with this simple Beans & Rice recipe. Winter Squash – Fantastic for roasting, acorn, pumpkin, and butternut squash are best known for their beta-carotene content, but they also contain omega-3s. One cup of butternut squash has about 50 mg ALA omega-3s. Wondering what to do with your squash? Try this amazing Butternut Squash and Quinoa Salad. Eggs – Once demonized as artery-clogging culprits, eggs are now known to be nutritional all-stars: one egg has 13 vitamins and minerals and high-quality protein, all for 70 calories. Shop for eggs carefully: some specialty brands have up to double the amount of omega-3s of regular eggs. Looking for the perfect power breakfast? You can’t miss with these Baked Eggs in Canadian Bacon Cups. Flax Seeds – Two tablespoons of ground flax seeds have about 3.4 grams of ALA omega-3s. (Make sure you grind the seeds or they will pass through the body mostly undigested!) In addition to their omega-3s, flax seeds are an excellent source of fiber. They have a rich, nutty taste and are a perfect topping for salads, cereal, yogurt, or as a healthy addition to smoothies. Walnuts – Just one ounce (about ¼ cup shelled walnut pieces) has 2.5 grams of ALA omega-3s, making them the richest nut-source of this essential nutrient. In addition, an ounce of walnuts provides a convenient source of protein (4 grams) and fiber (2 grams). Pump up the nutrition of your oatmeal, salads, snacks, main dishes and even desserts with this nutty nutritional powerhouse. For a perfect “anytime” snack, try these Parmesan-Herbed Walnuts. *The body partially converts ALA to EPA and DHA. The research is still unclear as to whether plant-based or fish omega-3 fatty acids are equally beneficial. Most Americans do not get enough of either type so you should aim to get at least one rich source (plant or fish) of omega-3 fatty acids in your diet every day.